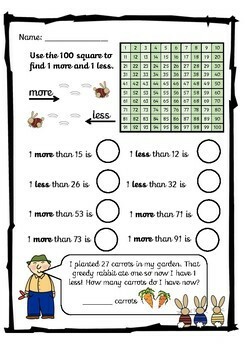 A selection of worksheets based on one my class' favourite stories to get children using a number square to find 1 more/less and 10 more/less than a given number! 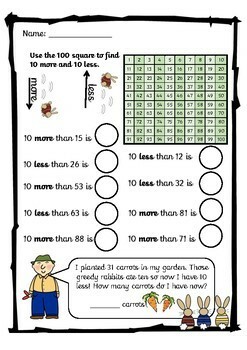 The first sheet gets children to find 1/more or less, followed by a simple word problem. The second sheet involves finding 10 more/less, followed by a simple word problem. 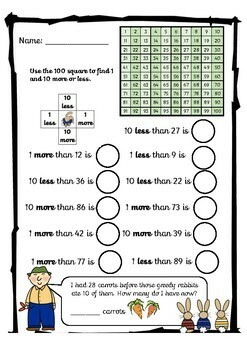 The third sheet gets the children to find 1 and 10 more/less than a given number and is followed by a word problem that begins to develop reasoning skills.